Hi. My name is Joe Jennison. The 2nd Floor of this building became my apartment and home in May of 2010, when I became the director of Main Street and Marketing for the Mount Vernon-Lisbon Community Development Group. Several meetings, receptions and events took place here during my tenure, including our very popular Mount Vernon After Dark Apartment Tour, an eight-apartment open house where we matched each apartment with a local artist, musician and restaurant. A large parade puppet, a prop from play I performed in, sat up in the window during my time here. My landlady and owner of the building during my stay, Pam Mott, purchased this building in 1995, and it has been home to Mount Vernon Insurance since 1996. This building was originally built as the Mount Vernon Bank in 1891, a date proudly carved on a large block of limestone in the building’s pediment. This structure maintains many original features and was restored in 1995 to be very close to its appearance when originally built. As befitting a bank, the structure features a large amount of limestone and molded, or terra cotta, brick. In many ways, it closely resembles the office and commercial building built by Charles Kepler across the street. 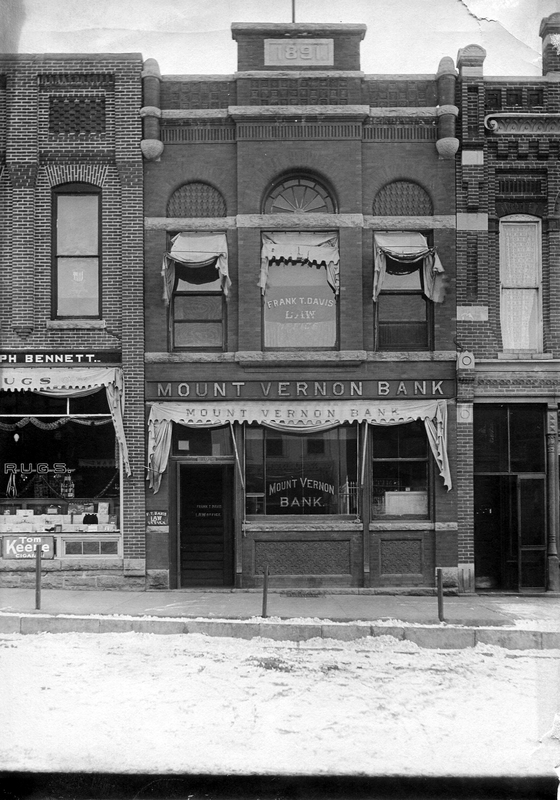 The Mount Vernon Bank was founded by William M. Smith and Dr. James Carson in 1884. In 1893, two years after this building was built, Colonel H.H. Rood entered the partnership. Smith was a native of Ohio who entered the Civil War at age 16 and was badly wounded during the Battle of Atlanta; he carried a bullet in his thigh for the rest of his life. After a career as a traveling salesman, he came to Mount Vernon to found the bank, of which he was the primary manager until his early death in 1899. As a sideline, Smith owned Cloverland Farm where he bred Angus cattle and Shropshire sheep. 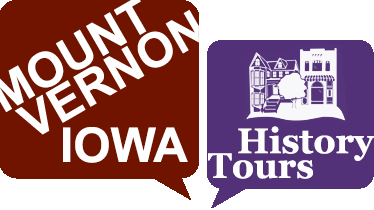 “Mount Vernon Bank Building ,” Mount Vernon History Tours, accessed April 23, 2019, http://mtvernonhistorytours.com/items/show/8.